How to watch Série Noire: Season 2 (2015) on Netflix Singapore! Sorry, Série Noire: Season 2 is not available on Singaporean Netflix, but you can unlock it right now in Singapore and start watching! 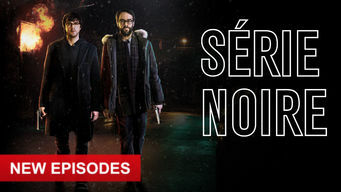 With a few simple steps you can change your Netflix region to a country like Canada and start watching Canadian Netflix, which includes Série Noire: Season 2. We'll keep checking Netflix Singapore for Série Noire: Season 2, and this page will be updated with any changes. Série Noire: Season 2 is not available in Singapore BUT it can be unlocked and viewed! Two TV writers whose critically savaged police show is a surprise hit decide that they need real criminal experiences to spice up their second season. Two writers who know nothing about crime have a hit crime show. Now they've got to learn their subject ... the hard way. Season 1 of Série Noire has 12 episodes. Because different Netflix countries have different availability for episodes, you'll need to check the episode listing below to see which are available in Singapore. Denis and Patrick find out that their series has been renewed, an encounter shakes Denis’s beliefs, and Patrick is determined to fix things with Lea. Denis finally manages to convince himself of the merits of his new approach and Patrick risks taking some daring advice from Jean-Guy. Denis and Patrick are enthusiastic to get to the police station. Never has the world of justice seemed so accessible to them. 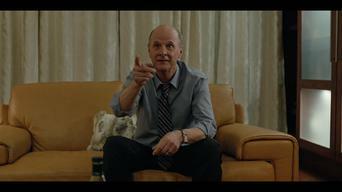 Denis approaches Marc Arcand, Patrick is surprised by his quick ascent in Bruno’s organization, and the two screenwriters learn some shocking news. Determined to save their jobs, Denis and Patrick visit their producer but her reaction puts their friendship to the test. Denis and Patrick hide out in a motel. Denis continues his showings with Lea, Patrick tries to get his job back and Ricky complicates everything. Denis and Patrick call Judith. The two screenwriters think of a way to communicate during the investigation and Judith uncovers a piece of evidence. Denis and Patrick try to find out more about the mysterious fat woman and discover the shocking motives behind Bruno’s criminal organization. Caroline threatens to pack her bags. Denis and Patrick plead with her to stay. The pursuit of Marlin and Marc Arcand pique a journalist’s interest. 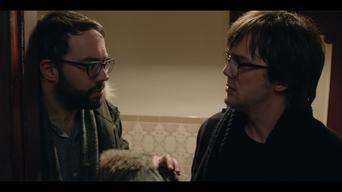 Patrick and Denis plan on enjoying their weekend but it turns into a horror film. Will Judith tell the authorities that her daughter has disappeared? Patrick, still alive, celebrates with Charlène, but Denis puts a damper on his friend’s enthusiasm. Denis tries to confirm his doubts. Denis and Patrick try to continue writing their series. The two screenwriters discover that life is more implausible than even the wildest fiction. Season 2 of Série Noire has 10 episodes. Because different Netflix countries have different availability for episodes, you'll need to check the episode listing below to see which are available in Singapore. Our writers are victims of an attack. Is it the East Gay Gang? With the help of an investigator, the duo will flee the city to protect themselves. Tracked by the man in the bicycle helmet, Denis and Patrick take refuge. They infiltrate the minister's campaign to find out who saved them. 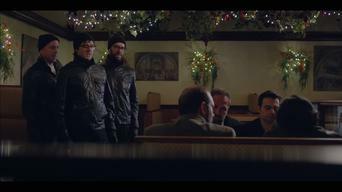 The release of Claudio from prison complicates things for Denis and Patrick. Will they learn more about Yvan's identity? 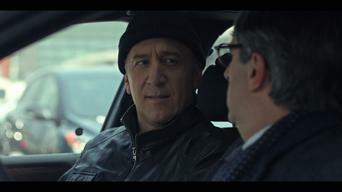 Patrick tries to learn more about Gregory, and Denis investigates the presence of investigator Perez at Judith's. Patrick's life is threatened. Determined to ask Louise, Denis and Patrick try to join her, without success. Marc Arcand decides to make peace with Simon Bernier and his past. Denis and Patrick investigate Louise and Henri's financial problems. Patrick meets Charlène to learn about her alliance with the minister. Denis and Patrick return to the pet shop after discovering the nature of the poison. Henri's visit to the notary stirs things up even more. 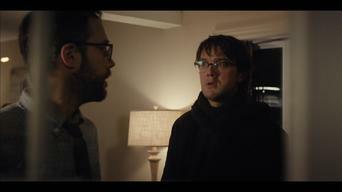 At a supper, Denis relies on Marc to get him out of trouble. The writers discover a shady network, but Perez throws a wrench in the works. Denis is free after a heavy interrogation. 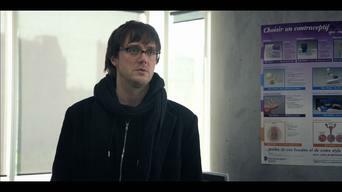 Patrick learns more about Charlène's motivations. Denis fears the worst for Judith and Juliette's safety. Denis tries to find allies in the police force. Will he manage to convince Judith? 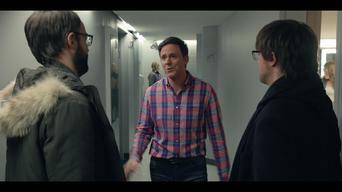 Charlène confronts Minister Thibodeau and he reveals his motives.